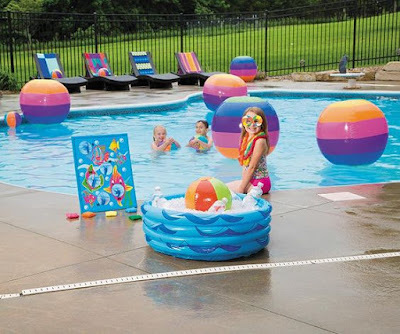 During the summer, the temperatures can be hot and miserable. It's super important to make sure my family stays hydrated and as comfortable as possible. Especially when we are enjoying the great outdoors! 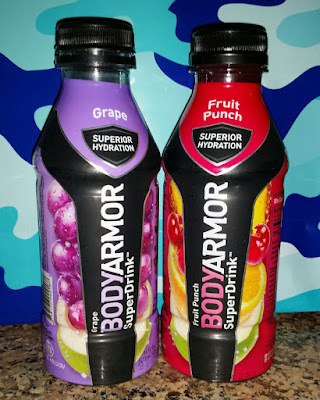 My kids (ages 15 and 12) have been enjoying BODYARMOR sports drinks this summer. This isn't just any sports drink, it has natural flavors, natural sweeteners, and no artificial colors! It also comes in a variety of delicious flavors that are you to refresh your body and cool you down! Christmas in July. It's Real! ~ Get FREE Christmas Gifts for Your Family! Did you know that Christmas in July is a real thing? 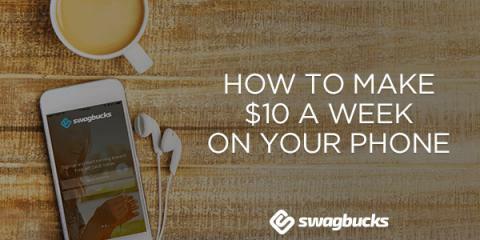 People are already saving up for the holidays, and the online rewards site Swagbucks surveyed its members to learn more. 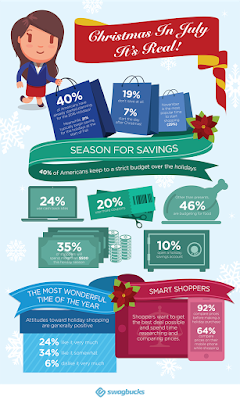 Check out these fun facts and start YOUR holiday saving today! I'm a huge fan of Swagbucks and have been redeeming Amazon gift cards to pay for my kids Christmas gifts for the past 6 years! I save them up all year long and then get to give my kids the perfect Christmas gifts with zero (or very little) money out of my pocket! 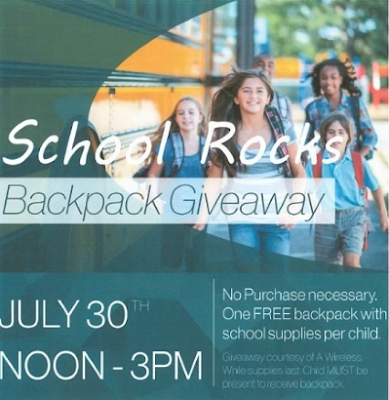 In case you haven't heard me talking about them already, Swagbucks is the fun rewards program that gives you free gift cards and cash for the everyday things you already do online. You can conveniently earn points (called SB) when you shop at your favorite retailers, watch entertaining videos, search the web, answer surveys and find great deals. Redeem your points for free gift cards to your favorite retailers like Amazon or Walmart, to name a few, or get cash back from PayPal! 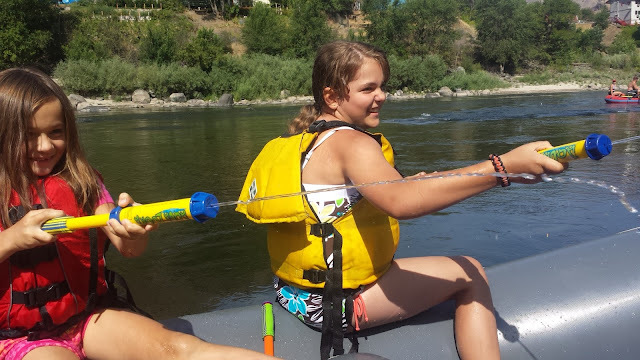 I have shared stories about my frugal family vacations in the past. For the past 7 summers, I have been able to take my family on vacation completely funded by my online earnings. We have spent a week in a oceanfront beach house in Oregon and even gone to the Edmonton Mall in Canada! Family vacations are always fun and memorable, but FREE vacations are even better! 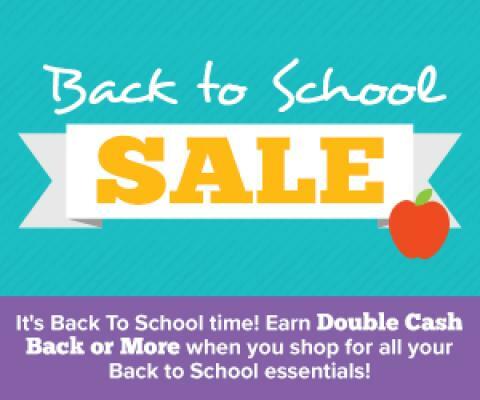 From now until September 1st, Swagbucks is offering double cash back in the form of points (called SB) when you shop for all your back to school essentials. Camping is one of my family's favorite summertime activities. Along with the great outdoors comes BUGS! Bugs are my least favorite aspect of camping... especially once the sun starts to set and those pesky mosquitoes come out to visit. We have tried just about everything to keep mosquitoes away from us while camping. We've tried candles, bug spray and bracelets... some work for a little while and others don't work at all! Last weekend we went camping and tried something new to keep the biting insects away. 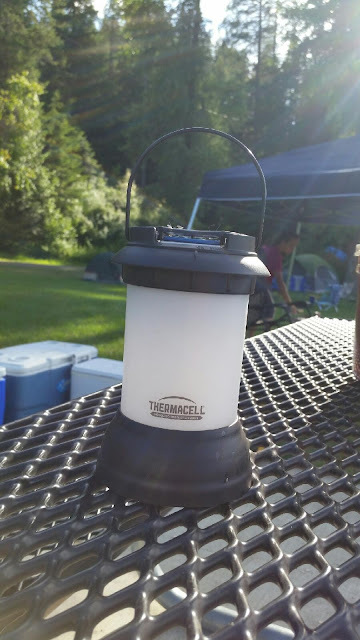 We were excited to give the Thermacell Bristol lantern a try! The first time we decided to give our new mosquito repellent lantern was at lunch. The bees were taking over our picnic table and it was difficult to enjoy our lunch. Would it work on bees? We didn't know, but we were willing to give it a try! Much to our surprise, within moments of turning the lantern on, the bees were gone and we were able to enjoy our hot dogs and potato salad without having to swat bees! That night, as the sun went down and the mosquitoes came out, we turned our lantern on again. Bye-bye mosquitoes!